If you are a current or former Pounds to Pocket customer, your account information is now available at On Stride Financial. You can log in using the same email and password you used with Pounds to Pocket and receive the same great service and support you were accustomed to with Pounds to Pocket. 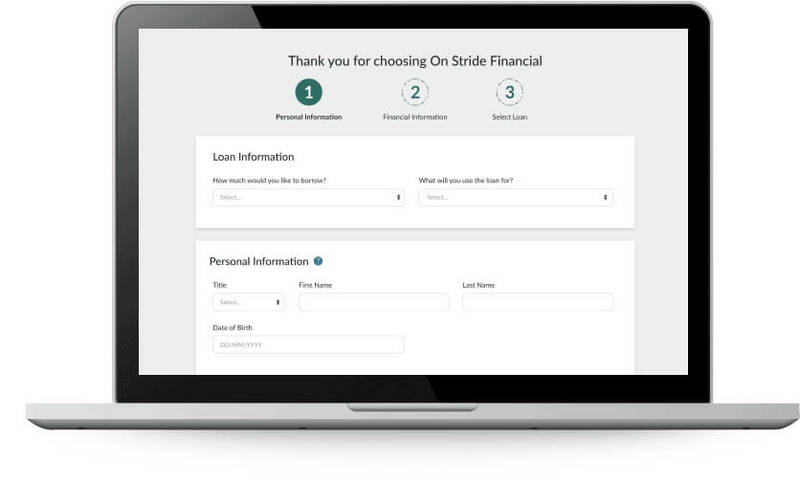 Pounds to Pocket customers will be glad to know On Stride Financial offers customisable personal loans in amounts from £150 – £5,000, with terms from six months – three years. You can tailor the amount and term length to best fit your financial needs — and the application can be completed in just four steps! Do You Meet the Requirements to Apply? On Stride Financial offers the same repayment options as Pounds to Pocket did. You can choose how you’d like your payments to be automatically debited on your scheduled due dates. Payments can be withdrawn from a debit card. Your payments will be withdrawn directly from your bank account. Ready to Apply With On Stride Financial? If you need an instalment loan from £150 – £5,000 and are used to Pounds to Pocket’s great service, please give On Stride Financial a try. On Stride Financial is proud to have thousands of satisfied customers — we hope you’ll be one of them. Representative Example: Amount of credit: £1,000 for 12 months at £163.94 per month. Total repayment of £1,967.19. Interest: £967.19. Interest rate: 150% pa (fixed). 311.3% APR Representative.